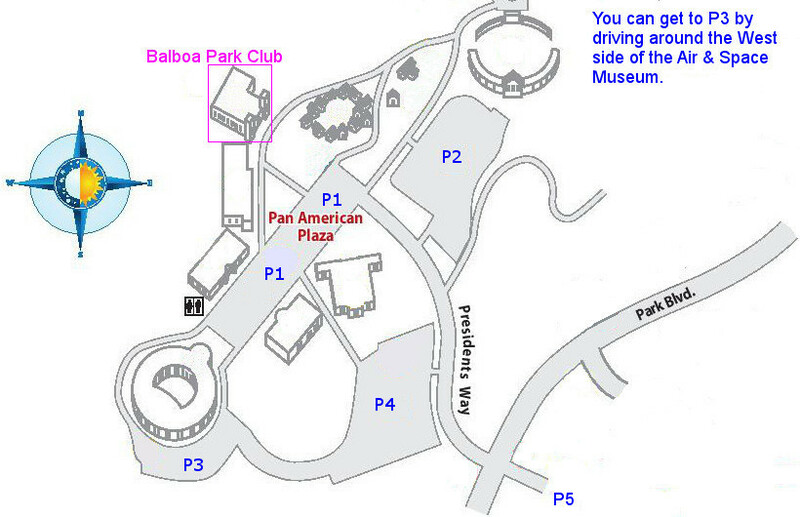 Balboa Park Dancers meet twice a week in the historic Balboa Park Club building located at 2150 Pan American Rd W. in beautiful Balboa Park. Read about the fascinating history here. 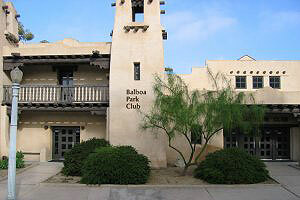 The Balboa Park Club building was first constructed for the park’s 1915 exposition to house the state of New Mexico’s exhibits. It was later remodeled and enlarged for the 1935 exposition. It was during this period that sculptor Frederick Schweigardt and painter Belle Baraceneau created their striking fountain and mural which adorn the building’s grand foyer. The main Ballroom features approximately 13,000 sq. ft. of unobstructed wood dance floor. 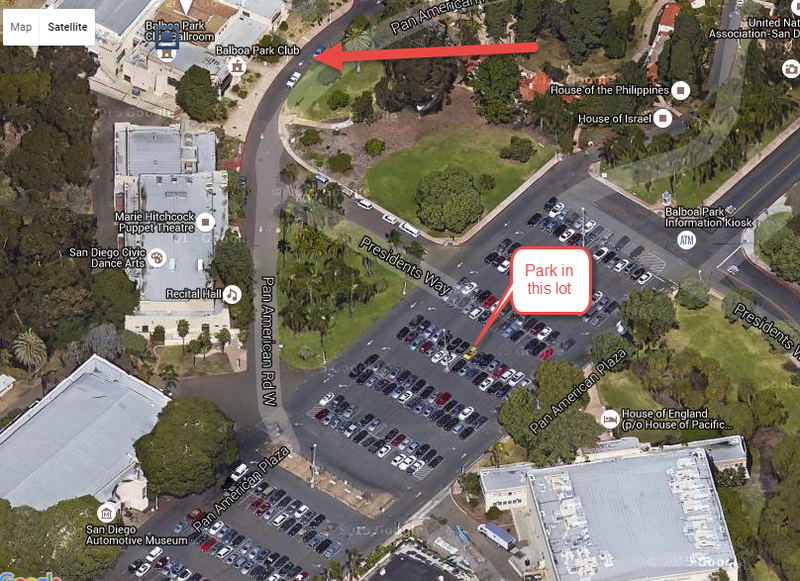 Our alternate dance site is the War Memorial Building, located at the north end of the Zoo parking lot at 3325 Zoo Dr. Check the Class Schedule for dates when we have been moved or canceled.